Pattaya officials say they will attempt to turn back the clock to gentler times when the Thai New Year meant solemn tradition, not water guns, with a nine-day festival on Walking Street. City spokesman Pinit Maneerat led a March 27 planning meeting for Pattaya’s official Songkran Festival on the South Pattaya nightlife strip April 12-20. Put on your wellies, it’s that time of year. Pattaya’s official Songkran Festival begins this coming week with a nine-day festival on Walking Street April 12-20. Pattaya officials say they will attempt to turn back the clock to gentler times when the Thai New Year meant solemn tradition, not water guns, although history suggests they may have their work cut out for them. Officially, Songkran runs April 13-15 throughout most of Thailand, and April 17-18 here in Pattaya/Naklua. Activities such as food offerings, pouring water on Buddha images, and making sand pagodas will be organized each of the nine days. The city wants Walking Street businesses to decorate their storefronts and have employees dress in traditional costume for the festival. 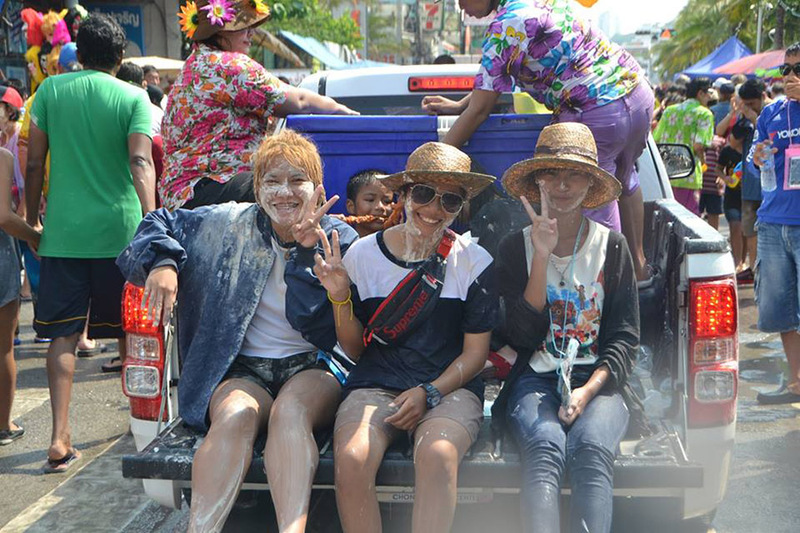 “If you think back to old times, some of you might not be able to imagine how Songkran was. But if you visit Pattaya this Songkran, you will clearly see. We will be back to the Thai way of living and Thai traditions of the past,” Pinit claimed. 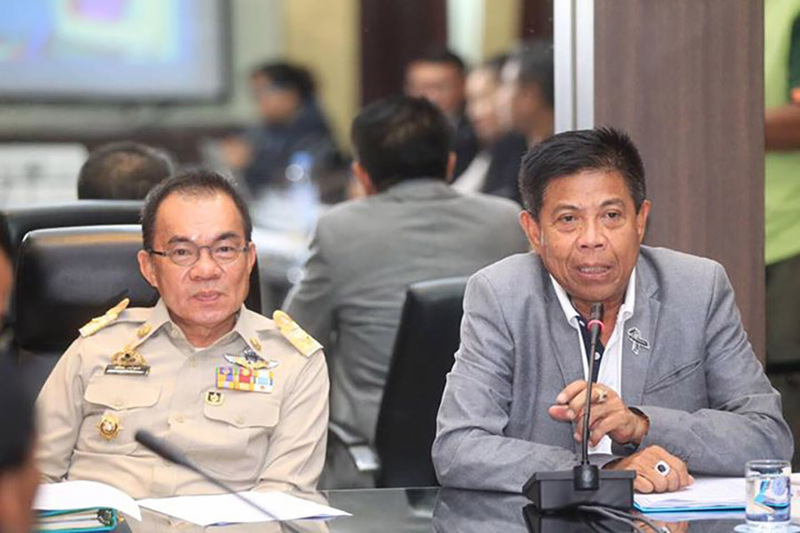 City spokesman Pinit Maneerat (right) and city manager Wuthipol Charoenpol (left) chair a meeting to try for the first time to change the style of Pattaya’s Songkran Festival to retro Thai culture. History suggests otherwise. Based on the video-documented Songkrans of prior years, the only tradition normally upheld on Walking Street for nine days was that of water warriors in skimpy clothing soaking every living thing from morning until night.